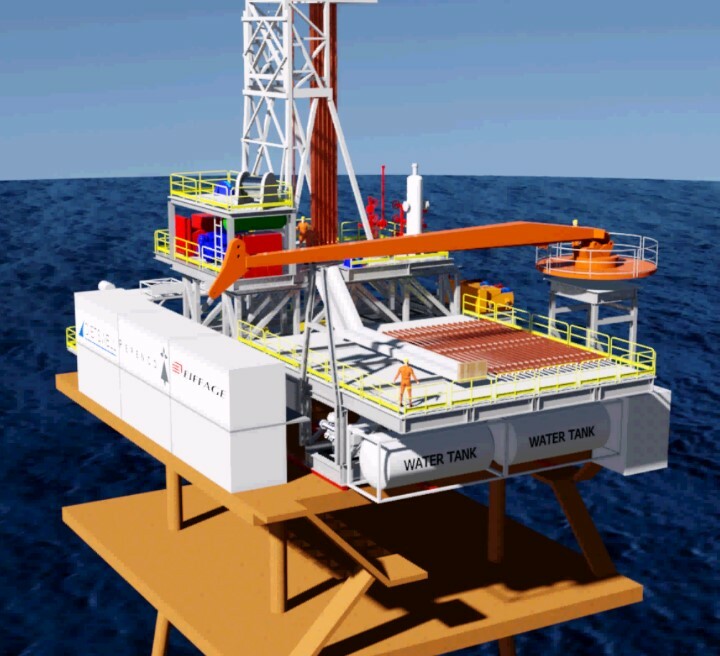 In order to allow a two-year drilling campaign, a modular lightweight and fast moving platform rig were designed by Dietswell. The system had to be adjustable to be used on 8 different platforms in the Gulf of Guinea. Thanks to a small footprint (24x20m) and its integrated mud tanks substructure, this rig design is very compact and easy to move. 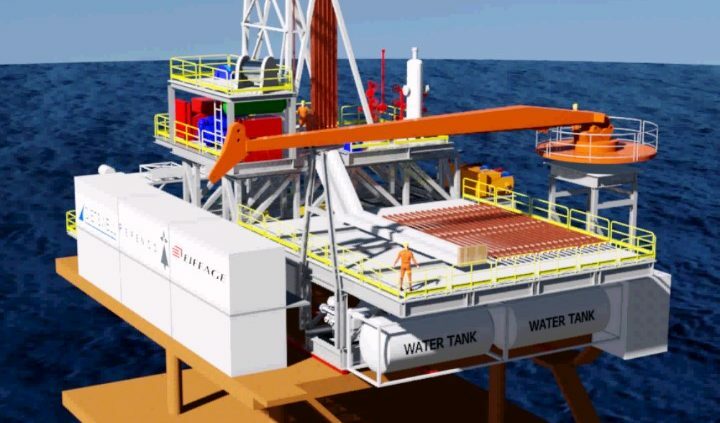 Moreover, the installation of the rig crane can be achieved by the 10t platform crane, which greatly simplifies the self-erecting rig installation.